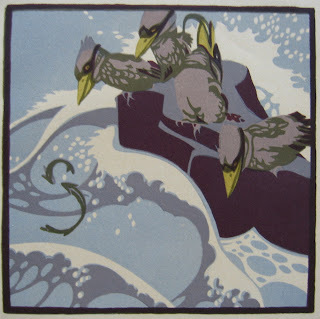 It's now three years since I first posted about Marcel Roux, and I thought I had probably said all I had to say. But two recent acquisitions make me want to revisit this passionate and brilliant man. 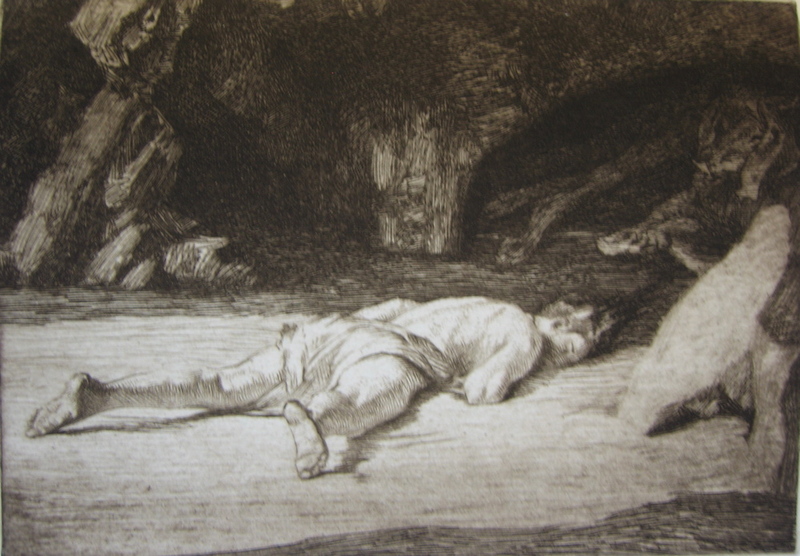 The first is one of Roux's rare individual etchings, L'échouée, as printed in the revue Byblis in 1923, after Roux's death, in brown ink on Lafuma wove paper. Most of Marcel Roux's original etchings were conceived and published in series, such as La Danse Macabre, Les Passions, Filles de Joie, and Les Sept Paroles; whether the enigmatic and dramatic L'échouée was intended to stand alone or to form part of a linked cycle, I do not know. I have to admit I don't quite know how to translate the title - the verb échouer means to fail, but I think this man may be intended to be shipwrecked, in which case the translation would be something like Washed Up; help from fluent French speakers will be gratefully received. 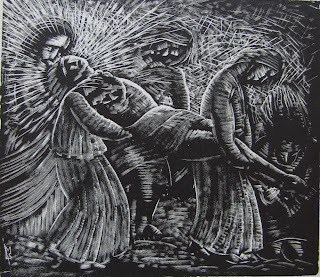 No date is given, but I believe all Roux's etchings date from before WWI; he was unable to etch during the war, and afterwards his fatally weakened lungs couldn't bear the fumes from the acid. L'échouée was published alongside a moving essay by Marcel Roux's close friend Justin Godart, "Marcel Roux: graveur Lyonnais". Godart mentions three commissions for interpretative etchings from the Chalcographie du Louvre: Rembrandt's L'ange quittant la famille de Tobie and Le boeuf, and Botticelli's Venus. Roux was evidently not best pleased about the Venus (which he may never have executed) , expressing a preference for Rembrandt's Le bon Samaritain. 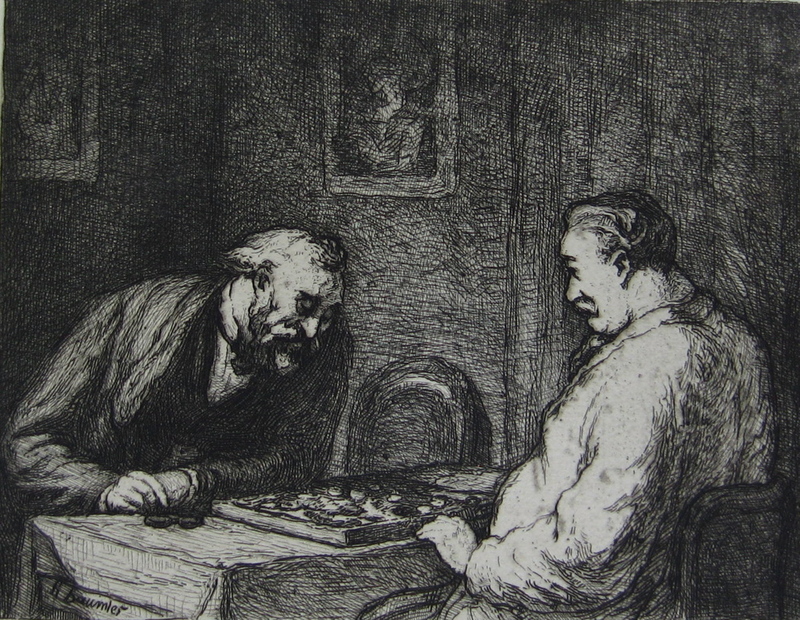 I had thought until now that Marcel Roux's activity as an interpretative etcher was essentially confined to Rembrandt, whose etchings first inspired him and whom he described as the "Maître de ma jeunesse". 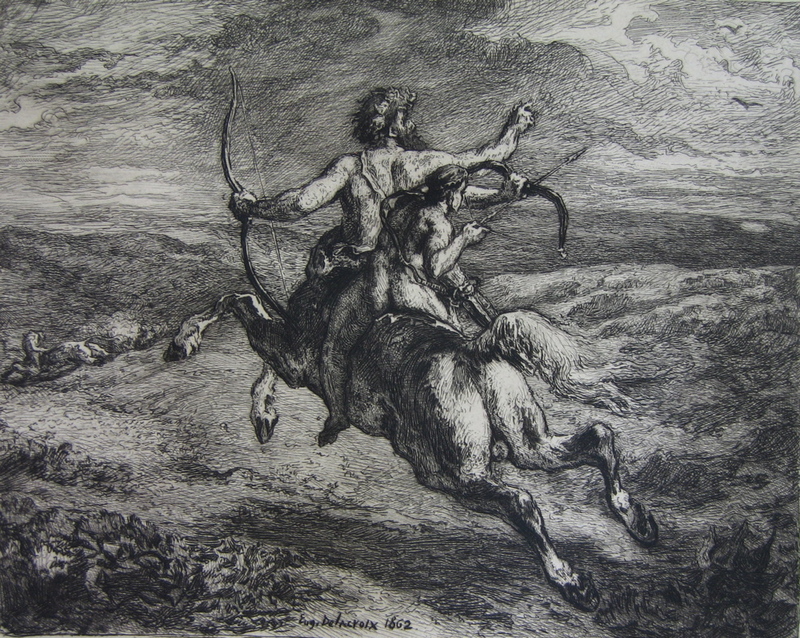 But now I have acquired a series of twelve further interpretative etchings by Roux, which show a hitherto obscure side of his prodigious talent. These works date from 1911, and interpret paintings by Delacroix (including a bon Samaritain), Corot, Millet, and Daumier. Two of them (Corot's Baigneuse and La femme au tambourin) are on the Marcel Roux website, but unidentified. They come from what I believe must be the last great work to be illustrated with such etchings, the impossibly lavish exhibition catalogue Vingt Peintres du XIXe Siècle: chefs d'oeuvre de l'École Française. This was commissioned, printed, and published by Galerie Georges Petit. 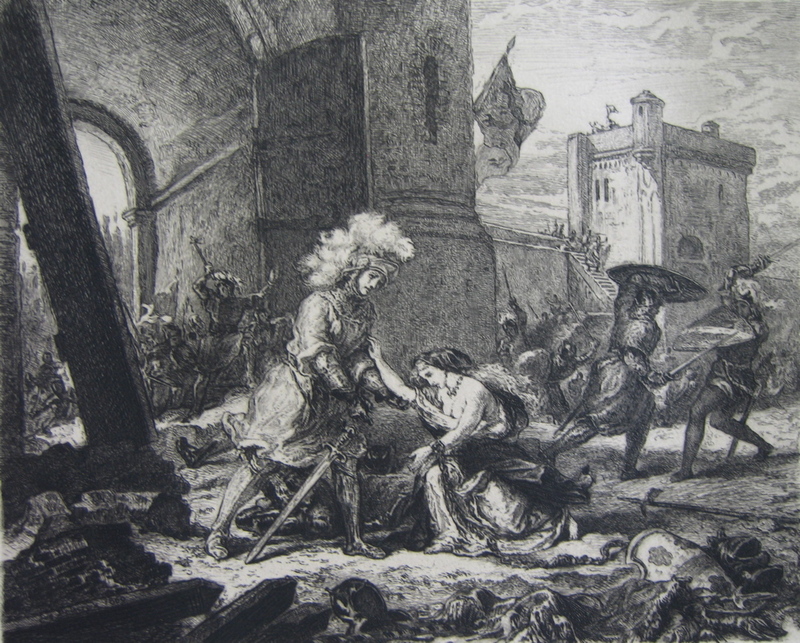 There is a text by Léon Roger-Milès, and 150 original etchings. The commissioning of the artists and art direction of the project appears to have been entrusted to Charles Waltner, so the general standard is very high, but the etchings by Marcel Roux are without doubt the stars of the show. There is nothing timid or restrained about them. Roux's mark-making is bold and vigorous, and exudes a sense of confidence. 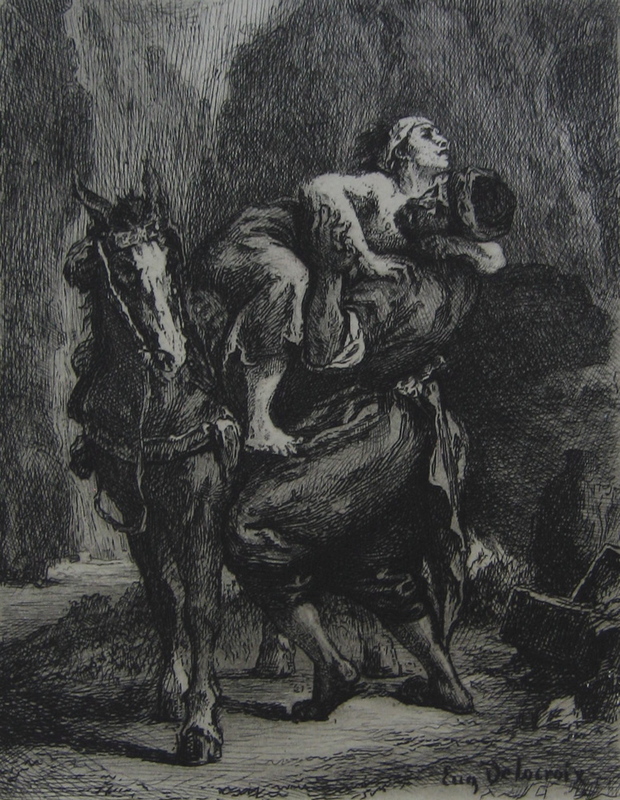 The plates are deeply-bitten, and the blacks are coal-black. Flicking through the pages there's no need to read the printed credit to recognize another Roux: they simply sing off the page. Given Marcel Roux's deeply religious sensibility, it comes as no surprise that he should respond so passionately to the Biblical subjects of La mise au tombeau and Le bon Samaritain, and his eye for social satire was well suited to Daumier, but I do find myself surprised and touched by the tenderness of the two etchings after Millet; this is a note not sounded in Roux's own work. 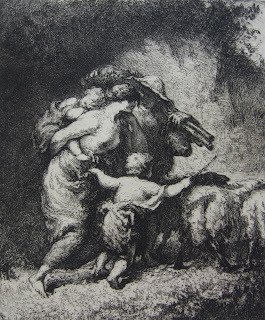 Of the dozen etchings, I think the most completely successful is L'éducation d'Achille, which strikes me as a very powerful treatment of a difficult subject. The etchings were printed on thick BFK Rives wove paper, in an edition of 650 copies, of which these are from no. 324. I suspect the first 50 copies were printed on Japon, though this is not explicitly stated. 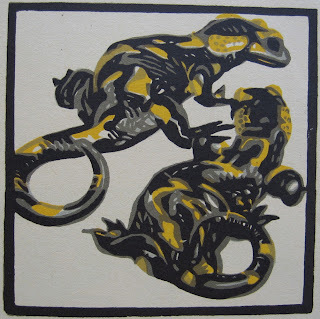 Francis Picabia is, of course, far from unknown. As the spokesman of the Cubist Section d'Or at the Armory Show in New York in 1913, and as the agent provocateur of Dada and Surrealism, Picabia became - with his close friend Marcel Duchamp - the prototypical modern artist. Disputatious, argumentative, controversial, witty, devil-may-care, Francis Picabia must have sparked a million conversations about the nature of art and the role of the artist. So it comes as something of a shock to discover another side to Picabia: his successful career as a Post-Impressionist, working under the direct influence and early encouragement of Sisley and Pissarro. It's as if Damian Hirst had begun as a Pre-Raphaelite, or Marina Abramovic were to suddenly unveil a hidden stash of genteel watercolours of flowers in vases. Picabia's Post-Impressionist phase lasted roughly from 1902 to 1908, and ended abruptly with his discovery of Cubism in 1909. One of his dealers, Danthon of the prestigious Galerie Haussman, was so disgusted by Picabia's change of direction that he auctioned off over a hundred of Picabia's paintings at the Hotel Drouot in March 1909, in what seems to have been a deliberate attempt to wreck his career. 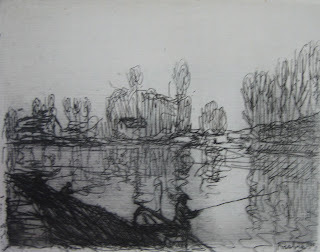 Although Picabia did execute some later lithographs and silkscreens, and at least one Cubist drypoint, his printmaking seems largely confined to this early period, and the six etchings in this post all date from around 1907 or a couple of years earlier (the date on Pêcheurs sur les bords du Loing may be 1904 or 1907, I can't tell). 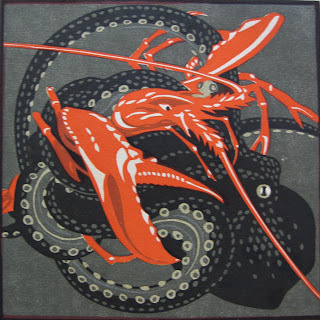 They were included in the first monograph on Picabia, Picabia, le peintre et l'aquafortiste by Édouard André, which was published in an edition of 250 copies in 1908. These six exhilarating etchings provide, I think, a stunning insight into the ground of Picabia's art. Picabia was a revolutionary, but in essence he was simply carrying forward the torch lit by the Impressionists, especially Sisley (whom he knew from 1897 to the artist's death in 1898) and Camille Pissarro (whose sons Manzana and Rodo were friends of his in Montmartre). 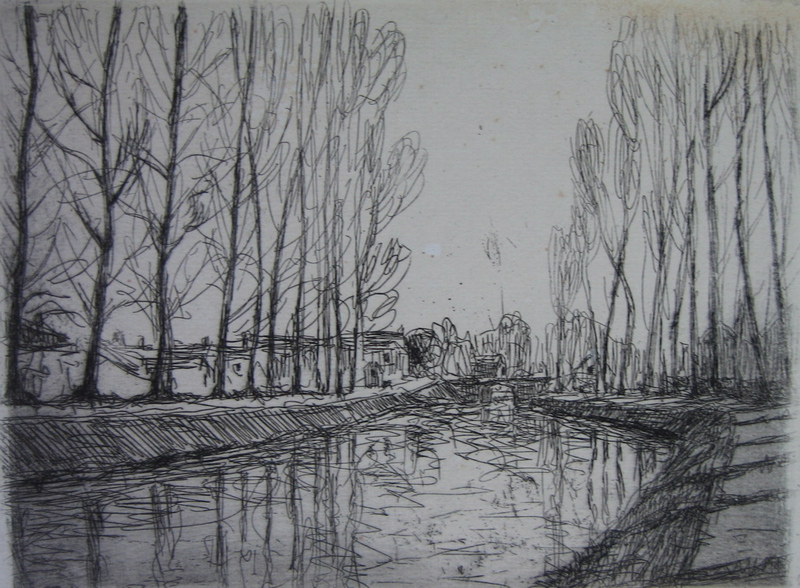 It was in Moret-sur-Loing that Picabia met Sisley and Pissarro (though he may also have met Pissarro in Martigues in 1898, certainly in 1902), and apart from the first, I believe all these etchings are scenes in Moret. Francis Picabia was born on 22 January 1879 in 82 rue des Petits Champs, Paris, and died in the same house on 30 November 1953. This might suggest a life of stasis and predictability, but in fact Francis Picabia led one of the most volatile art careers of his time. 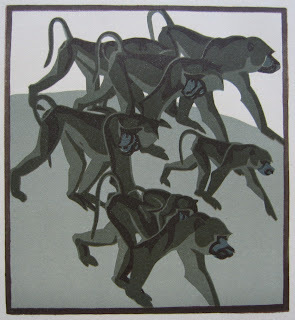 He was born François Marie Martinez Picabia, to a French mother and Spanish-Cuban father. The family was wealthy, and Picabia set about spending his inheritance with impressive zeal - he is said to have changed his car 107 times. 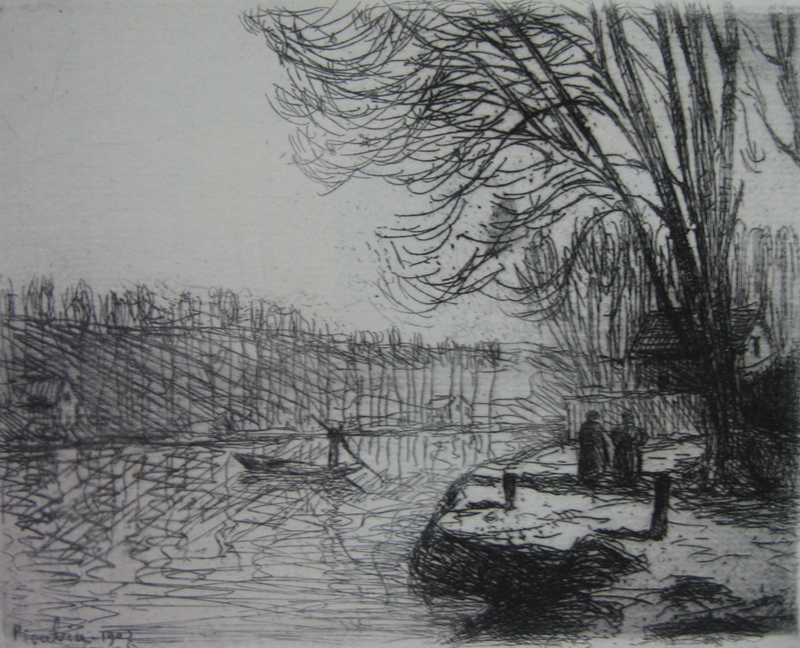 His early enthusiasm for drawing and his natural talent were recognized in 1894 when, at the age of 16, he had a painting accepted by the Salon des Artistes Français. His family encouraged him to study art, and he entered the atelier of Fernand Cormon at the École des Beaux-Arts, and later also studied in Cormon's private atelier. 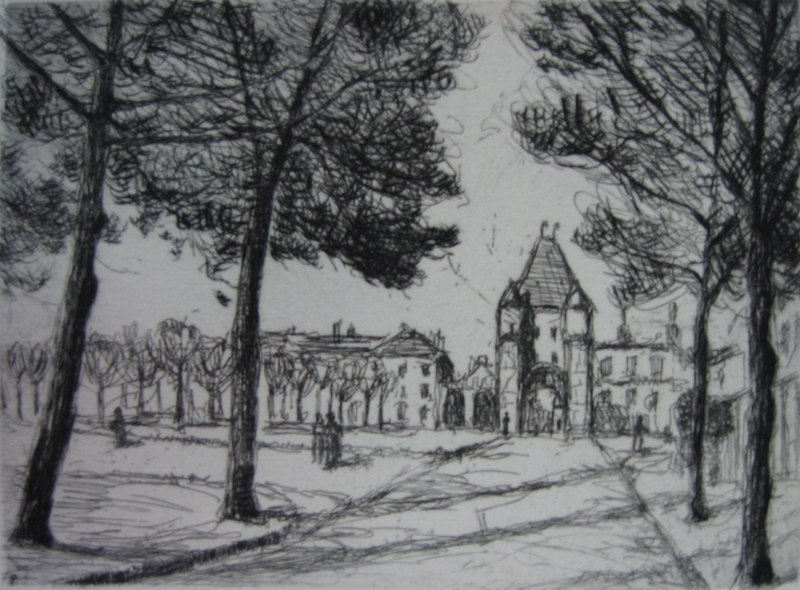 He additionally studied under Wallet at the École des Arts Décoratifs, and in the Académie Humbert, where fellow-students included Georges Braque and Marie Laurencin. In 1908-1909 the revelation of Cubism may have come through Braque (though Picabia's excellent official website credits his bride-to-be Gabrielle Buffet), but from 1911 it was cemented by the Groupe de Puteaux that met in the studio of Jacques Villon, and included Villon's brother Marcel Duchamp, the poet Guillaume Apollinaire, and the painters Albert Gleizes, Jean Metzinger, Louis Marcoussis, Robert and Sonia Delaunay, and Fernand Léger. 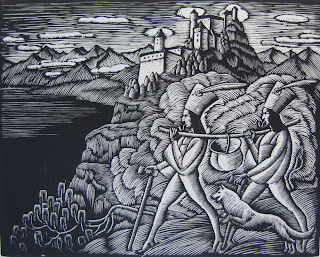 Wladislaw Skoczylas (1883-1934) is considered the father of modern Polish wood engraving, and most of the other artists in this post studied under him. 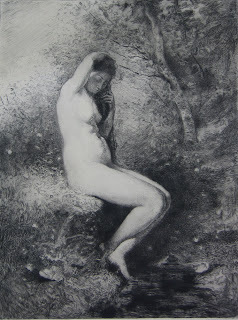 Skoczylas studied at the art academy in Krakow, the Kunstgewerbeschule in Vienna, and in the Paris studio of Émile-Antoine Bourdelle. From 1910 he devoted a large part of his work to etching, and from 1923 turned from etching to specialize in wood engraving. 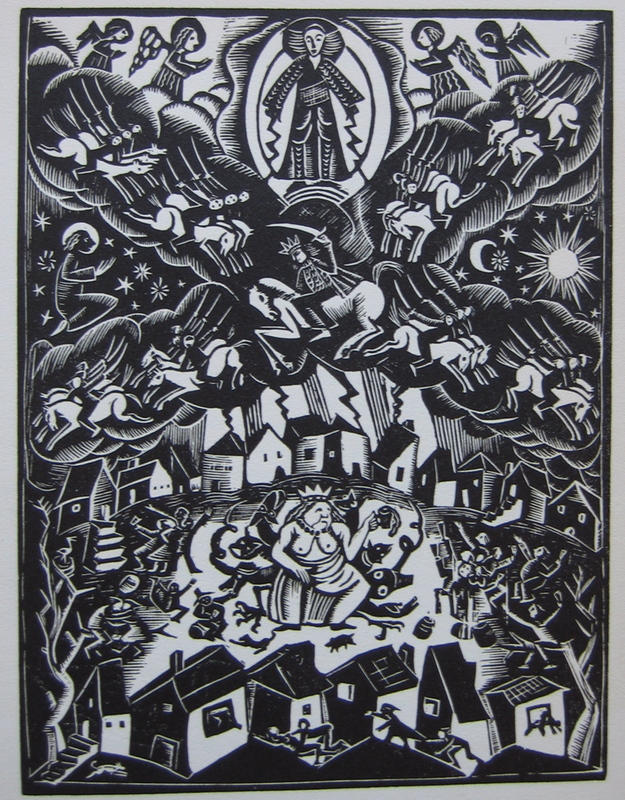 From 1928 Wladislaw Skoczylas taught at the Department of the Graphic Arts in the Applied Art School in Warsaw, where he inspired and influenced a whole generation of Polish wood engravers. Skoczylas exhibited in the show Art Polonais at the 1921 Salon de la Société Nationale des Beaux-Arts in Paris, and was kept in public eye in France by exhibitions of his wood engravings at the Galerie Zak. 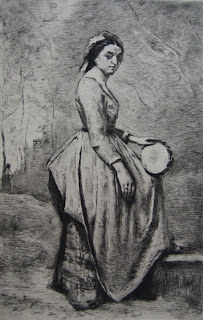 Skoczylas also continued to paint throughout his career, and regularly exhibited at the Salon d'Automne, of which he was a member. 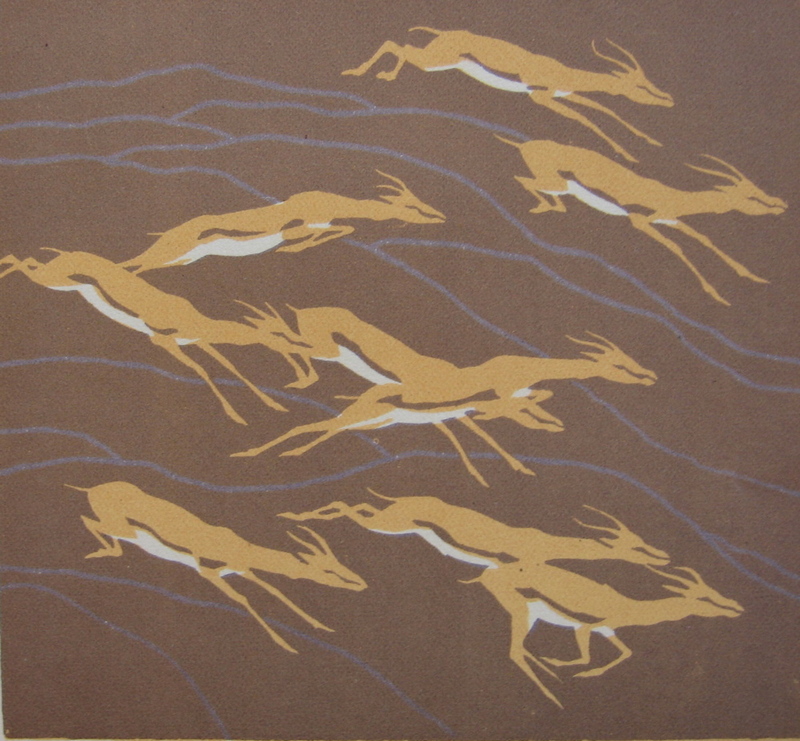 Bogna Krasnodebska-Gardowska (1900-1986) was certainly a pupil of Skoczylas. She specialised in religious subjects. 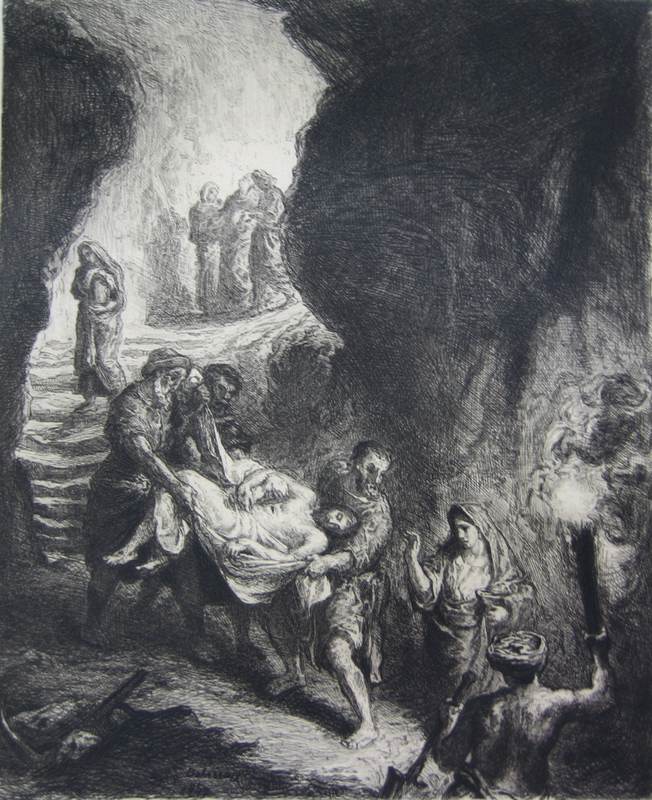 My sole engraving by Stefan Mrozewski (1894-1975) is also a religious subject (the entombment of Christ); Mrozewski's most important work is considered his series of 101 large engravings for Dante's Divine Comedy, on which he laboured for 32 years. 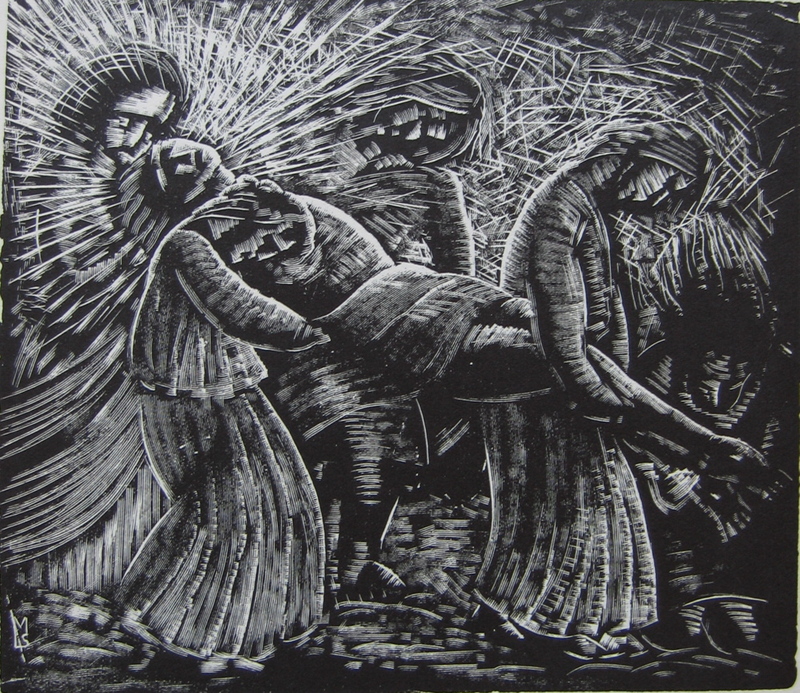 Stefan Mrozewski was born in Czestochowa, Poland, in 1894. 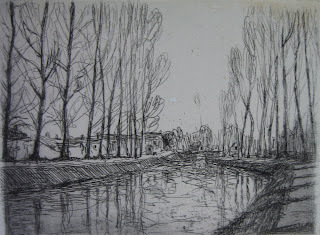 Although he showed early talent as an artist, his modest family circumstances initially prevented him from studying art. In 1920 he served in a cartographic unit in the Polish-Soviet war. 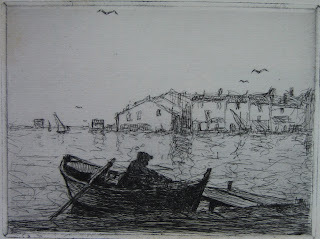 Afterwards, he attended several art schools, notably studying wood engraving and etching under Wladislaw Skoczylas at the Applied Art School in Warsaw. 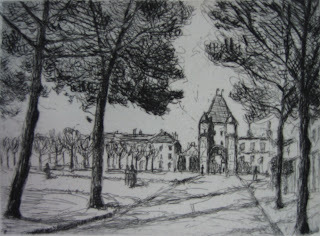 From 1925-32 Stefan Mrozewski lived in Paris, where he exhibited at various Salons and at the Galerie Bonaparte. 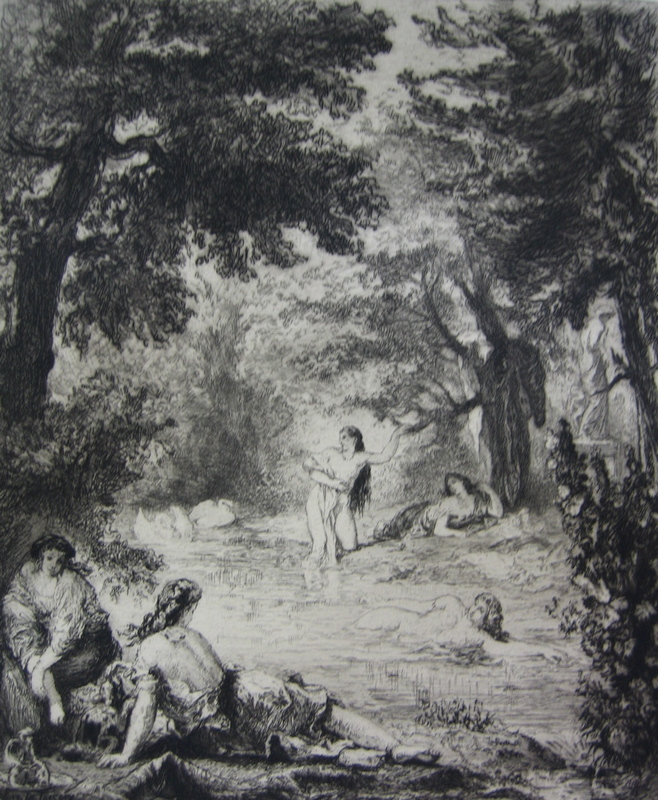 His reputation in Paris was such that Pierre Mornand devoted a chapter to his work in Vingt-deux artistes du livre. 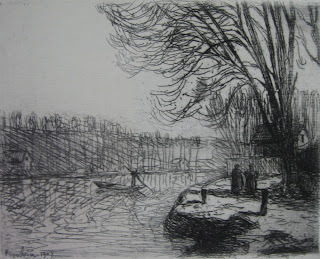 From 1933-35 Mrozewski lived in Amsterdam, and from 1935-37 in London. 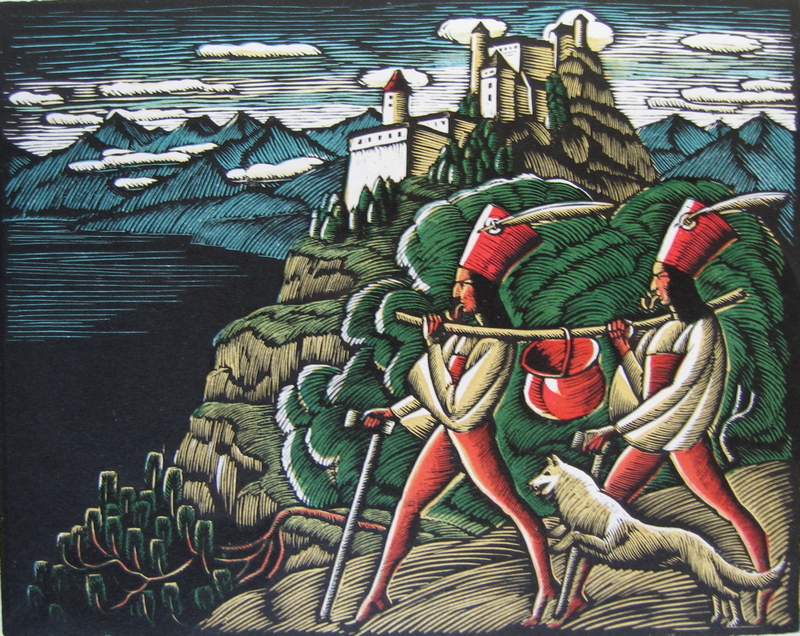 He returned to Poland only to find his homeland invaded by the Nazis; Stefan Mrozewski was active in the Polish Resistance, putting his graphic skills to good use. 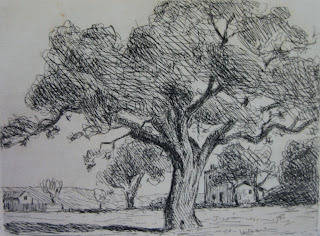 After Poland was swallowed up by the Soviet Union in 1945, Mrozewski made his escape, first to familiar France and Holland, and then in 1951 to the USA, where he lived and worked until his death in Walnut Creek, California, in 1975. 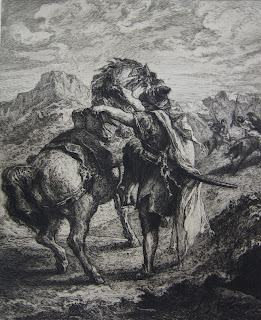 Edmund Ludwik Bartlomiejczyk (1895-1950) was more of a contemporary of Skoczylas than a student, and in fact Bartlomiejczyk also had a considerable influence on wood engraving in Poland, in his role as a professor at the Warsaw Academy of Fine Arts. 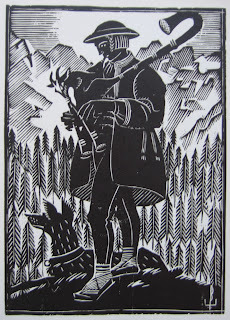 Like Skoczylas, he took inspiration from Polish folk art, as in this fine engraving of a peasant playing the bagpipes. 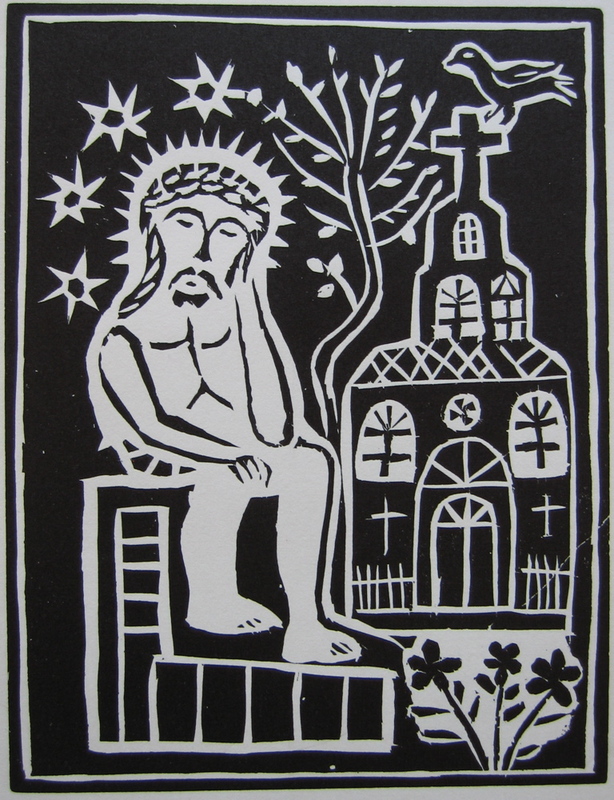 The same folk art influence can be seen in the work of Zygmunt Kaminski, who drew particularly on the Polish paper-cut tradition. 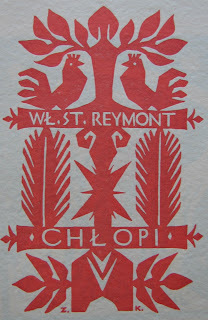 Kaminski (1888-1969) illustrated the novel Chlopi by Wladyslaw Reymont with original woodcuts in this folk art style. He lived and worked in Warsaw. 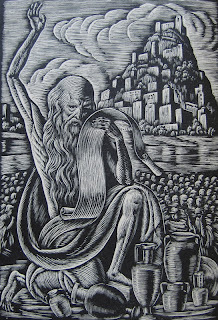 In 1921 Zygmunt Kaminski exhibited at the Exposition des Artistes Polonais organised by the Salon de la Société Nationale des Beaux-Arts in Paris. 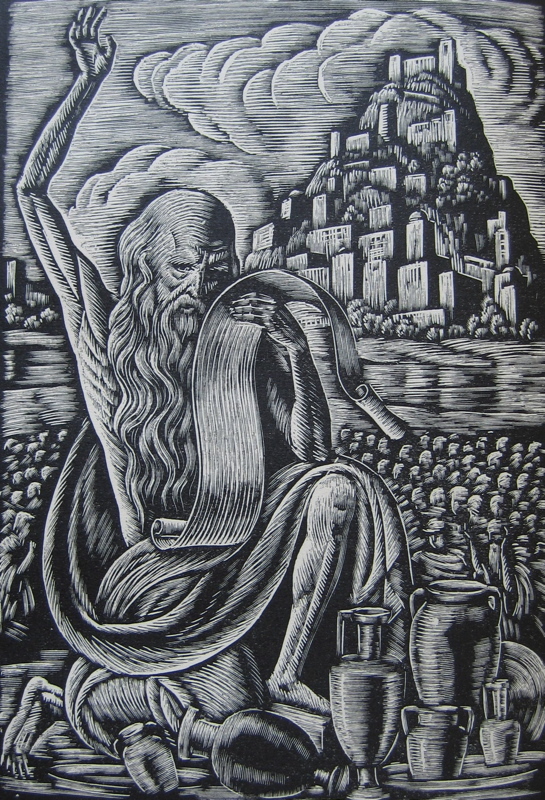 The painter, sculptor, stage director, and printmaker Zbigniew Pronaszko (1885-1958) was born in Zychlin; his younger brother Andrzei Pronaszko was also a significant Polish artist. Zbigniew Pronaszko studied in Krakow under J. Melczevski, and also in Munich. 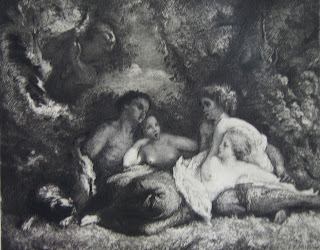 In 1928 he exhibited four canvases in the Polish section of the Salon d'Automne in Paris, bringing his art into the international arena. 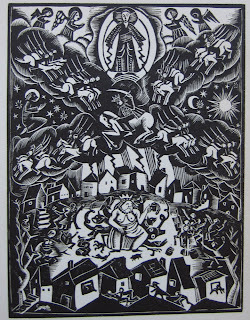 Although many of the artists discussed so far drew on folk art, they did so from an educated perspective. 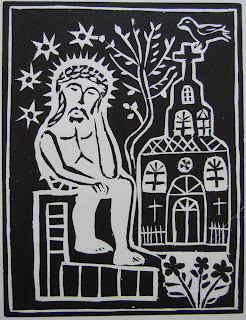 My last Polish wood engraver was a true outsider artist. The sculptor and printmaker Jedrzej Wowro (sometimes spelled Vowro) was born in Gorzeniu Dolnym in 1864. 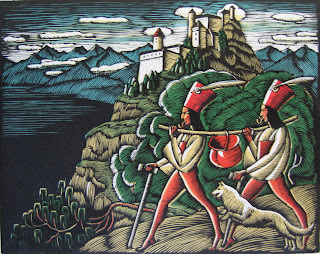 Jerdzej Wowro was an entirely self-taught folk artist. Born into a humble farming family, he remained illiterate. 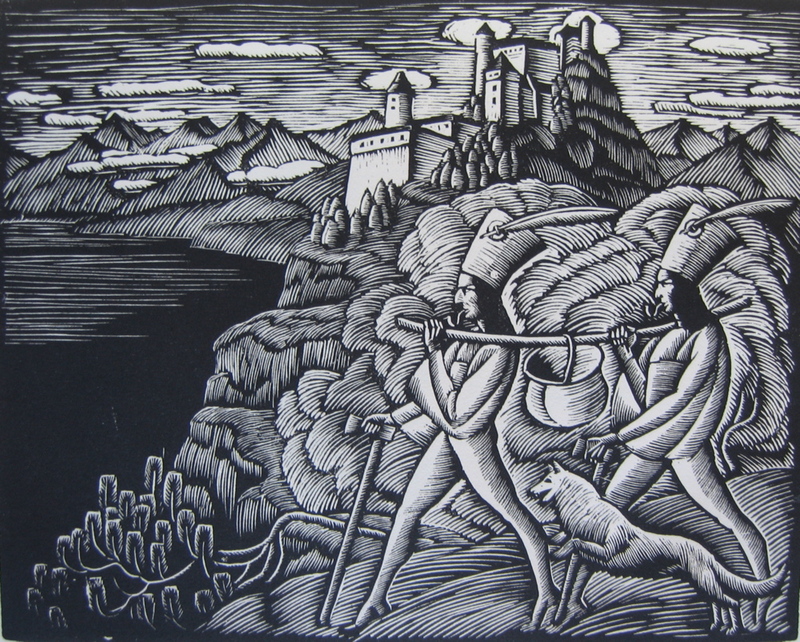 Jedrzej Wowro worked in coal mines, mills, and as a lumberjack. It was after being buried in a mine collapse that he returned to Gorzeniu and married Mary Guzek, who was literate, and who introduced him to stories of the saints who appear in much of his work. In 1923 his second wife Marianna Pin took some of his sculptures to the local manor house and showed them to the writer and champion of expressionism Emil Zegadlowicz. 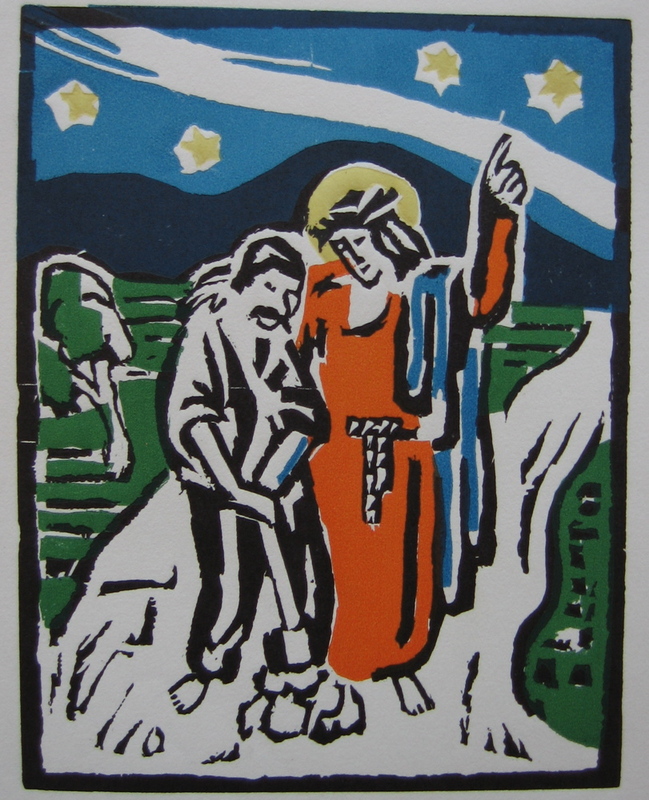 From that moment, Zegadlowicz became Jedrzej Wowro's patron, encouraging others to buy his work, and commissioning 20 woodcuts between 1925 and 1933. After that Wowro, now internationally known, was too ill to work. He died at the age of 73 in 1937. 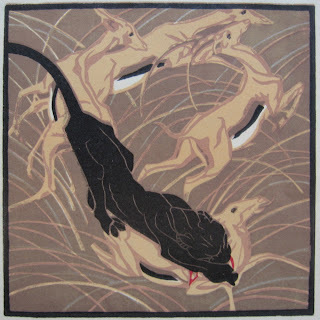 Norbertine Bresslern-Roth was born Norbertine Roth in Graz, Austria, in 1891, Bresslern-Roth was one of the pre-eminent linocut artists of the twentieth century, and one of the first to truly explore the possibilities of the medium. 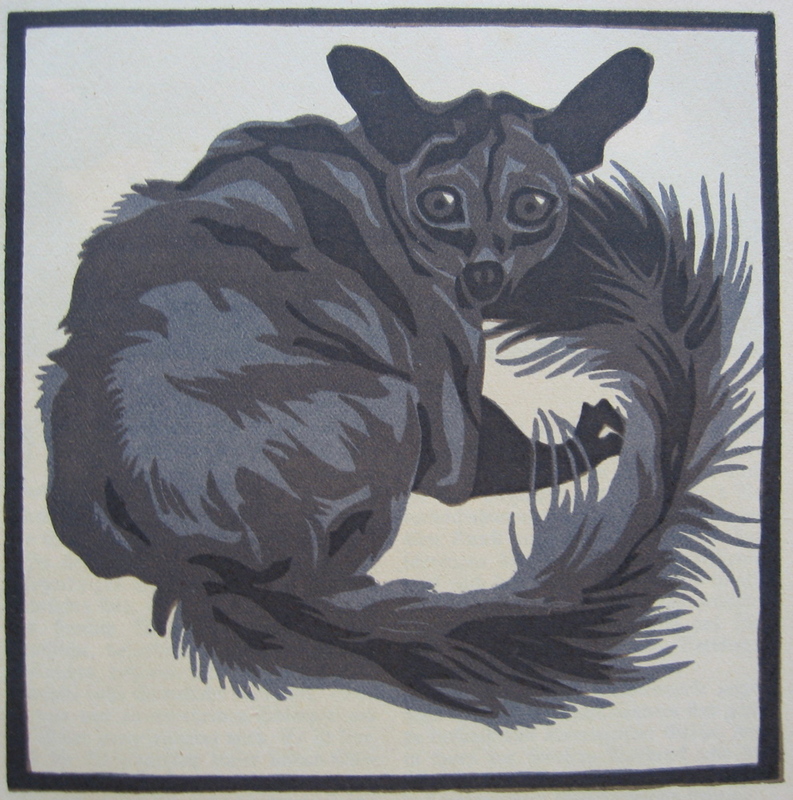 Her work had a profound influence on later linocut artists such as Lill Tschudi, while her own choice of subjects (chiefly animals and birds) and compositional style were influenced by the art of L. H. Jungnickel. 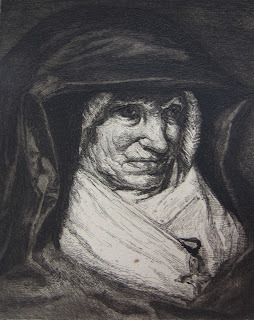 Charles at Modern Printmakers has an excellent post on Bresslern-Roth, in which he is slightly dismissive of her as essentially an imitator of Ludwig Jungnickel, and while I think it is true that she derived a great deal from him, I do believe her work has its own strengths. 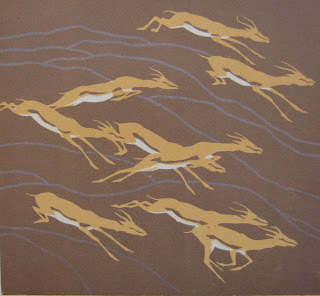 Pre-eminent among these is her ability to capture a sense of motion and energy in a static image. "Kampf", her energetic depiction of a fight-to-the-death between a lobster and an octopus is a striking case in point. 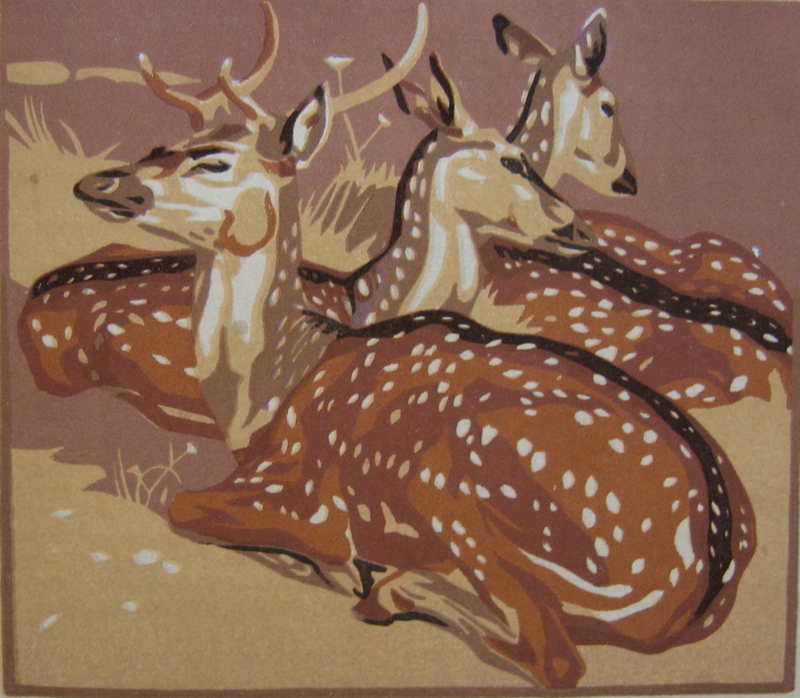 Bresslern-Roth studied under Alfred von Schrötter at the Graz Academy, then under Ferdinand Schmutzer at the Vienna Academy, and finally at Hans Hajek's school for animal painting in Dachau. Norbertine Bresslern-Roth then returned to Graz, where she lived for the rest of her life. Although she had exhibited with the Vienna Secession from 1912, Norbertine Bresslern-Roth essentially stood aside from the artistic currents of her time. 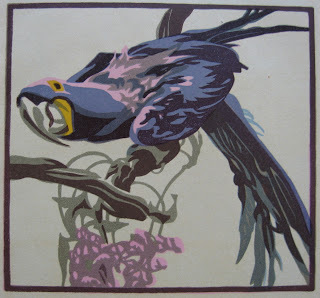 A trip to North Africa in 1928 profoundly influenced her subsequent subject matter and colouring. Her linocuts are very richly inked, and the colours positively glisten from the page. My other prints by, or after, Bresslern-Roth are a series of these linocuts reproduced as lithographic facsimiles. 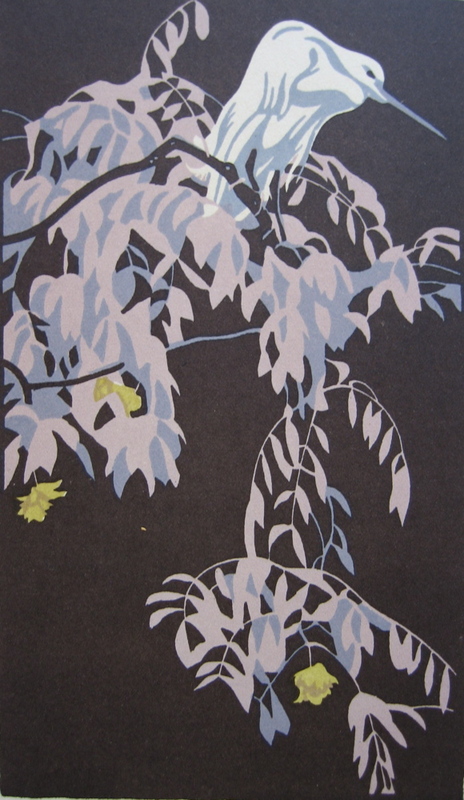 In these, the colours, while true, have a dusty feel in comparison to the glowing quality of the original linocuts. But they are still powerful and attractive, and I add some to this post to give a more balanced view of her output than "Kampf" alone. 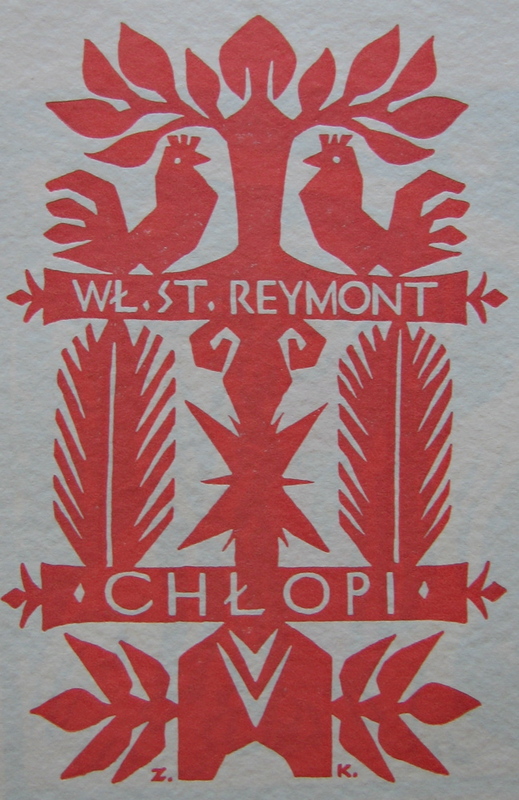 The lithographs were made for the book Linolschnitte von Norbertine Bresslern-Roth by Alphons Poller (1926). Bresslern-Roth evidently authorized them, but how closely she was involved beyond that is not clear. Quite probably she would have approved the proofs. 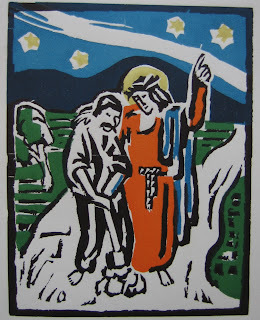 Although she lived until 1978, Norbertine Bresslern-Roth's era was the 1920s and 30s. In 1930, for instance, she was selected as the subject of the seventh monograph in the series Masters of the Colour Print edited by Malcolm C. Salaman and published by The Studio. 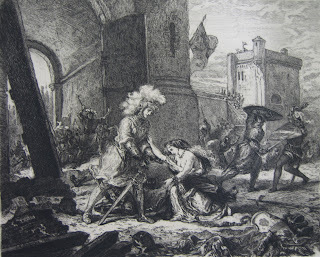 As well as Salaman's rather gushing text, this had eight tipped-in colour plates (screened four-colour reproductions). This was probably the high point of her international fame, though her art has come back into focus recently through the close attention paid to it in the blogs Modern Printmakers and Art and the Aesthete. 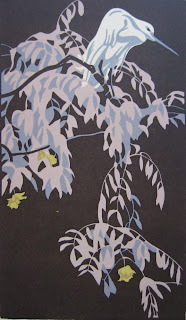 I am a writer with a keen interest in prints and printmaking, although I no longer deal in prints. Among my books are Mythology (with Philip Wilkinson), English Folktales, The Cinderella Story, Victorian Village Life, and The New Oxford Book of Children's Verse. I have also published three collections of original poetry, Holding the World Together, The Cardinal Directions, and A Viking Ship-Burial on the Volga. All text and photographs on this blog are copyright © Neil Philip. 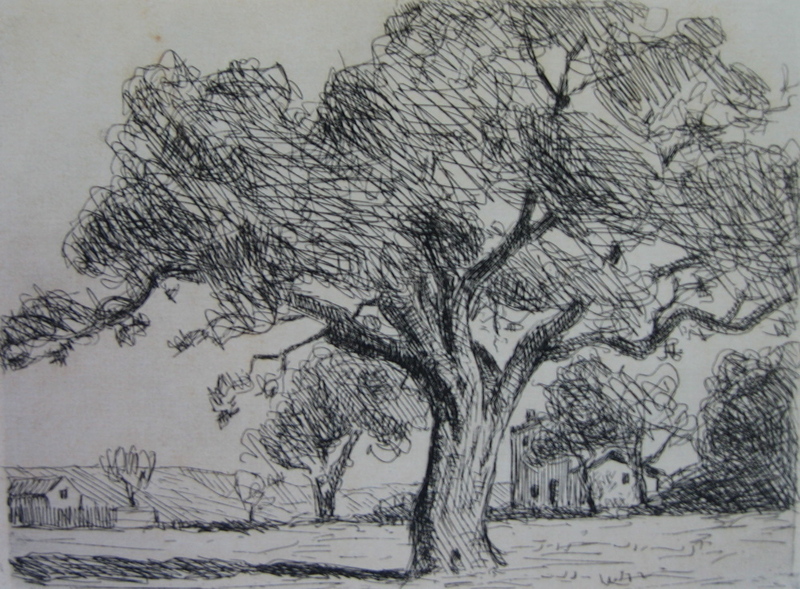 Copyright in the artworks remains with the artists or their estates.